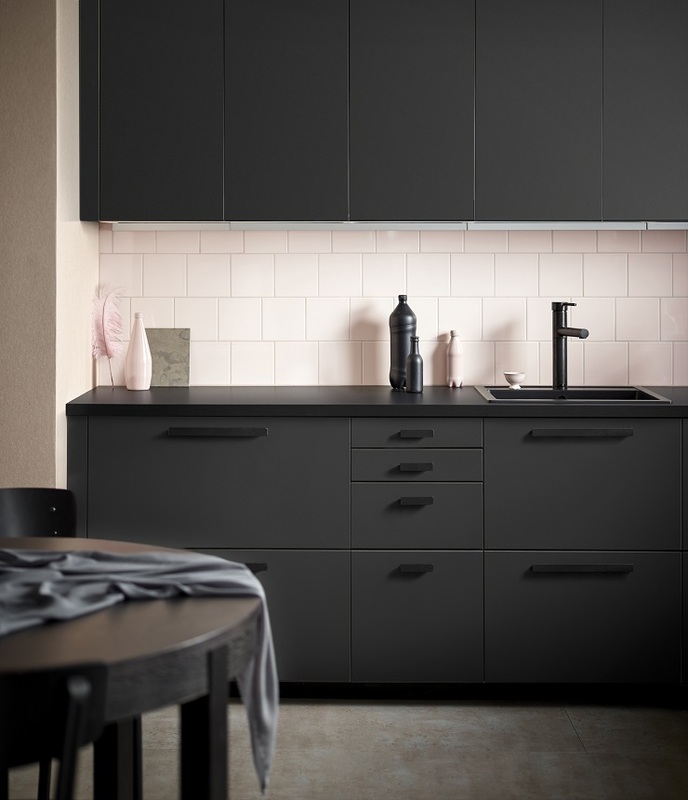 Not so long ago, IKEA collaborated with Swedish design studio Form Us With Love to create kitchen units made entirely from recycled plastic bottles and reclaimed industrial wood. With the Kungsbacka units, the Swedish furniture giant aims to make sustainability available for everyone. The company expects it to last for 25 years. According to some National Geographic reports, Americans bottled water consumption has reached 36 gallons, up from a gallon-and-a-half during the mid-1970s, during the course of a year. A very small number of the plastic bottles are recycled, while an unclaimed number of deposits clog up landfills and the oceans. The Swedish furniture giant wants to keep some of these plastic bottles out of landfills and the oceans. 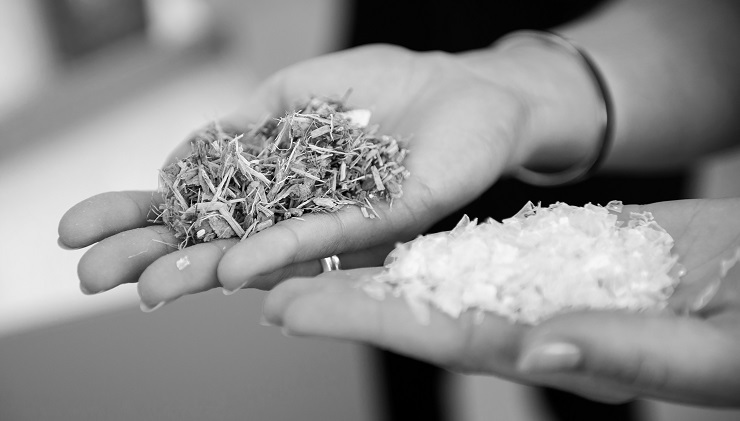 ‘Today, applying waste materials in production is unfortunately still costly and the Kungsbacka kitchen fronts could have easily ended up too expensive. Overcoming the price was a milestone in the development. Sustainability should be for everyone, not only for those who can afford it,’ says Anna Granath, product developer at Ikea. Each piece of 15.75-by-31.5-inch cabinet is made from twenty-five plastic bottles. As with most IKEA furniture, the cabinets are modular, so they can be arranged to fit into any space. IKEA Kitchen’s main unit is made out of reclaimed wood, while the coating is made from recycled plastic bottles. The Stockholm design studio chose a simple silhouette in a matt anthracite gray to create an elegant look. While the shiny black Hackås handles contrast with the matt surface. Stockholm studio Form Us With Love, has previously created a pair of moulded plastic chairs in its repertoire for the Swedish furniture brand. Recycled furniture is one of the fastest growing trends of 2017. In October 2016, Dutch Design Nienke Hoogvliet unveiled Waterschatten furniture and homeware, made from reclaimed and recycled toilet paper. Some of his other experiments are quite unconventional, which includes fabrics made out of manure and furniture made from Merdacotta, i.e. clay mixed with poo. 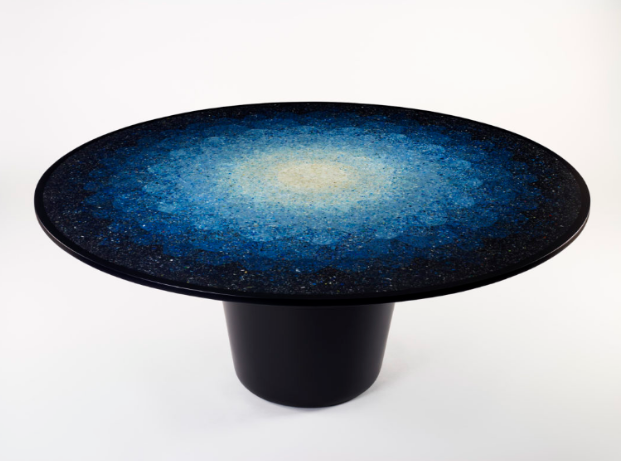 At the London Design Biennale, Australian designer Brodie Niell showcased the Gyro table made from tiny pieces of plastic that had been salvaged from beached around the world, including Hawaii, Tasmania and Cornwall. At last year’s Dutch Design Week, Eindhoven-based designer WooJai Lee displayed bricks made out of newspaper pulp that has been mixed with glue and pressed into a mould. The bricks can be used to build furniture. A growing number of design companies are switching focus to recycled materials, as discarded waste becomes a growing concern. Some of the plastic is swallowed by sea birds, whales, dolphins and other marine creatures to the point where it is estimated to be in the guts of all marine mammals. The toxic materials are consumed by plankton, which is then eaten by fish, ending up in the food chain, posing a threat to humans.